The Holy Name Society promotes respect for the most Holy Name of God, faith in the Catholic Church and its teaching authority, and loyal respect to both our civil and religious responsibilities. 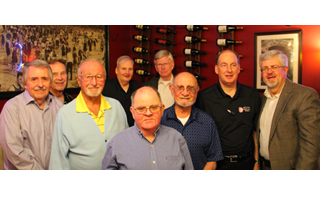 Our chapter of Holy Name Society began when the parish was established in October 1951. Our chapter is a branch of a world-wide fraternity of the church, which began more than 700 years ago. In its first seven centuries, the Society has helped to foster the salvation of souls. Membership in the Society can offer faith-filled men a chance to serve with an organization that has become the voice of Catholic men, — and potentially, enrich their lives. HNS sponsors a Thanksgiving turkey raffle, a Christmas dinner party, a Pancake Breakfast in springtime, and a Past Presidents’ Dinner in May. The HNS group often helps support other activities of the parish such as the Fourth of July veteran’s Mass and Food Pantry programs, as well as other organizations such as the Mission Ladies and the Ministry of Care.